If high-THC cannabis—including strains such as "trainwreck", "gorilla glue", and "hindu kush"—were no longer available, "12 percent of cases of first-episode psychosis could be prevented across Europe," the researchers calculated. The researchers established a baseline by identifying—in the cities and regions examined—all individuals known to have experienced a first episode of psychosis from 2010 to 2015. They found 901 cases. David Nutt, head of the centre for neuropsychopharmacology at Imperial College London, said it was "important to realise that THC is well known to produce psychosis in healthy volunteers—people without a predisposition to mental illness". How much is big Pharma paying for these bogus studies? It's not psychosis, it's called being high. Smoke a little less next time. I think it's safe to say the majority of us who have smoked for 30 - 50 years are tired of the Internet's ability to confuse and dumb-down the uninformed public at the stroke of yet another anti-marijuana "study". Studies, as we should all know by now, are largely bought-and-paid-for annoyances. Studies, thus far, which can offer no bona fide examples of medical/psychological verified proof. The overabundance of stats and pretty graphs are pure bullshittery of the highest degree. By the way, perhaps you should have included the 1936 propaganda film "reefer Madness" in your references? The flood of comments to these kind of stories is always SO predictable. Anyone, and everyone, who is the least familiar with Pot Culture has heard about paranoia or wigging / freaking out. Everyone. I know users stopping after such experiences- as have celebs (ie Howard Stern). Is it really any surprise that the relatively _small_ percentage of the population genetically prone to paranoid psychosis should probably avoid using pot (or, at the very least, the industrialized, high-THC content variety)? Predictably, whenever you present a personal,or anecdotal, story about the negative aspects of chronic pot use, you can expect the usual reply - "THEY are the problem, not "US." This is exactly the same reply given to any challenger of any authoritarian religion or government. We already control, regulate and standardize the potency of OTC medicines and alcohol - not to mention mandating Warning Labels. The Pot Industry should expect the same. The legal pot industry brought this mess on themselves, by letting stoners define the product based on mind blowing instead of mellowness. I know old hippies in CO who won't touch the legal stuff, because it's too strong. People want the equivalent of a beer or glass of wine, and the companies are pushing the equivalent of syringes of pure ethanol. Wanting to mellow out is one thing, but wanting to escape reality is always pathological, always a road to madness with alchohol or any drug. So why is the product geared to going nuts instead of occasional use by people with no tolerance built up? "It's not psychosis, it's called being high. Smoke a little less next time." Being high as space may leave you crashed on the ground or literally crash your mind in a way you won't like to try it again. And it doesn't help legalization efforts. I believe nowadays it is much easier to get bad trip and psychosis from high potency pot than from psychedelics like mushrooms. It's bad not only because the THC content is so high, but also because it's not well-balanced by other cannabinoids that have modulating effects on its potency, decreasing psychosis risk. It's not even clearly verified how specific cannabinoids in mixes actually affect neuronal signalling and states of mind. 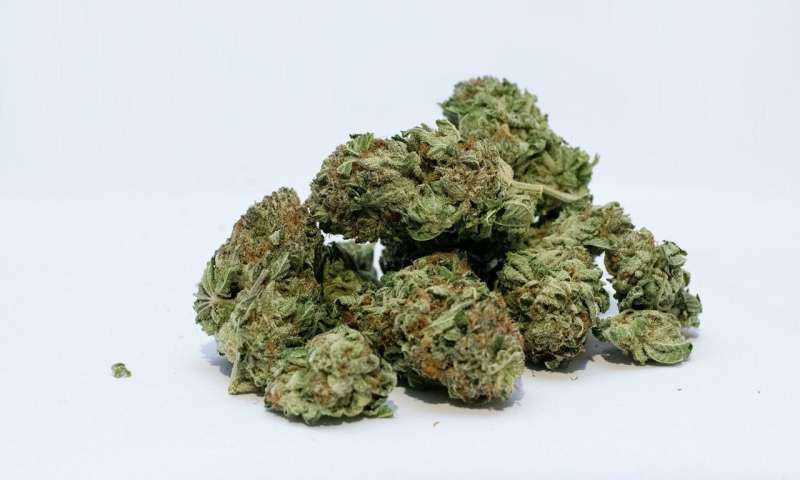 But of course you have to know something aout it 'cause everyone knows different varieties of cannabis bring completely different high depending on the active contents balances. Nowadays trying to find nice pot is like going out for one beer only to find shops selling exclusively absolute alcohol.